A Contractor Risk Retention Group is a self-insurance plan – or group captive insurer – operating under the auspices of the Risk Retention Act (RRA) of 1986 that can cover all the liability exposures – other than workers compensati on exposures, of its owners. 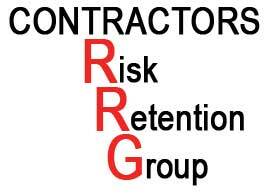 Contractor RRG companies allow members who engage in construction activities to write liability insurance for all or any portion of the exposures of group members, excluding first party coverages, such as property, worker’s compensation and personal lines, such as home, auto and recreational vehicles. Authorization under the federal statute allows a group to be chartered in one state, but able to engage in the business of insurance in all states – subject to certain specific and limited restrictions. The Federal Act preempts state law in many significant ways, therefore RRGs are not subject to the individual state laws that would otherwise prohibit the formation of group captives or make it difficult to form or operate them. While the Exchange was promulgated as a Lloyd s-type facility, what has evolved is a group of individual underwriting syndicates, utilizing the authorities earned by the Exchange, to provide capacity in a wide variety of programs or niche underwriting. Most syndicates offer access to their capacity through their captive Exchange Broker membership in order to meet the requirement that all business must be submitted through Exchange Brokers. Therefore, access to each syndicate may be accomplished through these affiliated brokers. As an excess and surplus line facility, the Exchange requires syndicates to work through surplus lines brokers located in the state of domicile of the risk and oftentimes, syndicates arrange exclusive geographical areas for certain surplus line brokers and access is available only through that broker. Instantly compare RRG rate and coverage with regular insurance company rate and coverage options here.